See the jaguar in the Amazon rainforest, spot the lions on the African savanna and visit a turtle nesting beach under the stars! Then, fold out your incredible glow-in-the-dark poster to stick up on your wall. 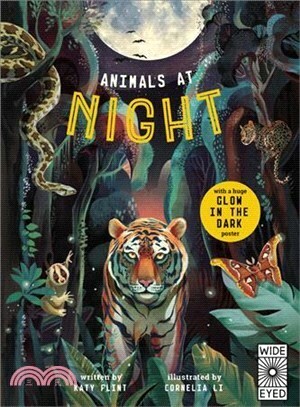 Simply turn off the light to bring the incredible glow-in-the-dark ink to life.